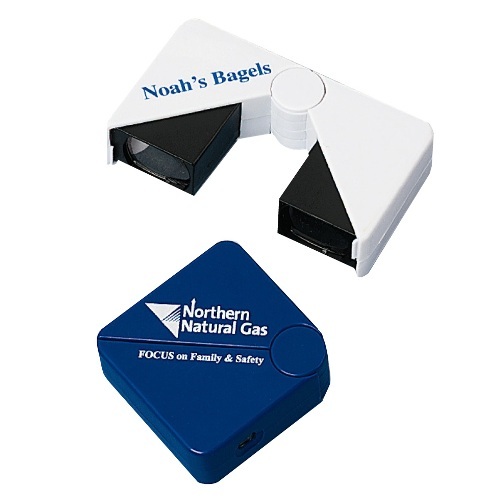 Folding Binocular | Promotional Folding Binoculars imprinted with your logo. Folding Binocular - Pocket sized folding binoculars.Folds into a square. 3X magnification. Available in Blue, Red or white. Packed in illustrated gift box.